Edit your videos to create Slow Videos, Fast Videos or Reverse Videos. 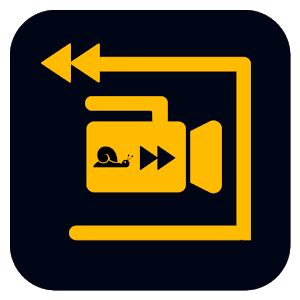 Slow Motion Videos: you can create slow motion videos instantly of your existing videos in your mobile. Apply the slow motion effect to any of your videos. Fast Motion Videos: you can create fast motion videos instantly of your existing videos in your mobile. Apply the fast motion effect to any of your videos. Reverse Videos: Take any video from your mobile gallery and convert it to reverse video. See the magic of reversed video. You can create wonders with reverse video. Cut or trim any video. Apply video filters and effects. Share saved video directly from the app.